Create a “time capsule” of your life to share with your children. Whether your grandkids are small or grown, they’ll love to hear your memories, thoughts and dreams. 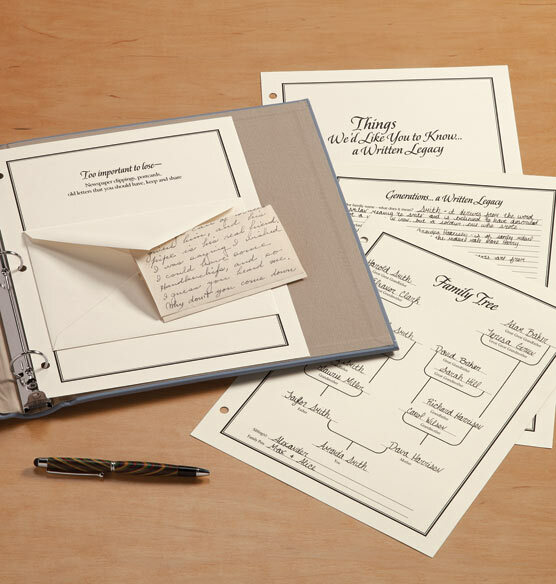 The "Generations…a Written Legacy" set features 14 album pages, each with a different writing prompt for grandparents, such as “Top Ten Things We Would Like You to Know” and “Our Hopes and Dreams for You”. The pages fit into a classic 3-ring album, making it easy to create a sentimental gift from grandparent to grandchild. Having these memories written down all in one place makes an heirloom gift that will be handed down to future generations. I research geneology. Guides for special people are always helpful, and these looked nice. i enjoy keeping genealogy for my children to have. It looks interesting and because I may not live to see my own grandchildren. I will include it in my family history albums. I'd like to prepare this packet for my grandchild. What a good idea for family scrapbooks. Your recommendation to preserve 100+ year-old paper artifacts? BEST ANSWER: Thank you for your question. 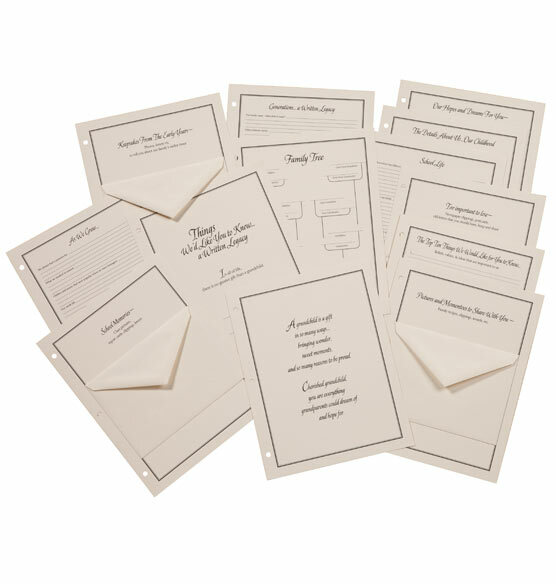 The pages are made to help protect any paper and photos that are new or old. We hope this information will be of help to you.